Deutsche Bank AG, Europe’s biggest bank by assets, exceeded a goal for raising capital levels as co-Chief Executive Officer Anshu Jain focused on bolstering the firm’s finances rather than limiting losses. Deutsche Bank “took pain” in the quarter by booking a loss to boost its capital ratio without selling shares, Jain said. Booking a loss to boost its capital ratio. Losing money, in the regular universe, should reduce your capital: capital is mostly retained earnings. Everything here is backwards. And then you might ponder the fact that Deutsche Bank found an extra €26bn of RWA optimization to squeeze out of its computers. Diversity of risk-weightings among banks might help robustness; diversity over time is harder to be excited about. The management is determined to bring about deep cultural change at Deutsche Bank. Short term measures are an overhaul of the compensation practices and the continued tightening of the control environment. The Bank significantly reduced the bonus pool. Full year variable compensation is down to 9% of revenues – the lowest level for many years. Additionally, the Compensation Panel, chaired by Jürgen Hambrecht, made a series of recommendations which played a part already in the 2012 compensation. The Panel recommended, for example, that the Bank reduces deferrals, thus reducing the compensation cost for future years. It also advised that measures of performance for clients play a greater role in performance management assessments. Longer term measures towards achieving deep cultural change include issues like client integrity, operational discipline and cross-silo cooperation. These areas of focus were identified by conducting the most comprehensive dialogue with employees in recent years. So all of those things sound good, no? Obviously not for DB bankers - "significantly reduced the bonus pool," ouch - but from a safety-and-soundness-etc. perspective. Comp, and its relationship to incentivizing risk, is a key element of bank culture. I just ... I could be wrong, but I have a sneaking suspicion that how a bank does its capital-ratio modelling - how aggressively it tries to optimize around regulation and minimize capital requirements - is also an important part of its culture. And one that didn&apos;t make it into DB&apos;s overhaul. 1.Nah, they didn&apos;t "report earnings," they announced the "Implementation of new strategy with significant impact on 2012 results." 2.Also in up-is-down: (1) "Deutsche Bank Posts Surprise $3 Billion Loss," (2) +2.7% at 2pm. 3.Some of which is like goodwill and so probably not all that good for capital, whatever, we are overgeneralizing here. There is some discussion about how Deutsche Bank achieved the capital level improvement, said Piers Brown, an analyst at MacQuarie Bank Ltd. in London. Changes to Deutsche&apos;s internal risk models helped drive the reduction in RWA, which analysts said could come back to haunt the bank if regulators harmonize the way banks estimate the riskiness of their loan books. 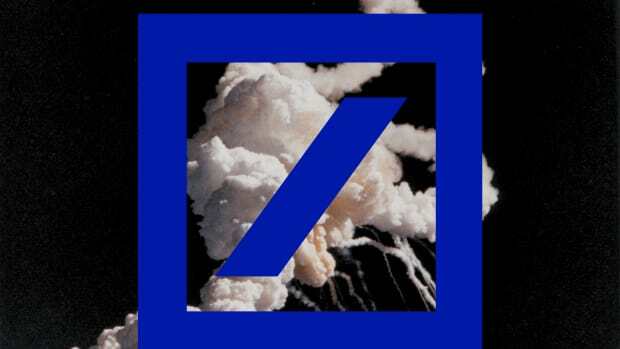 "They might apply some minimum floor for RWAs, which would cost Deutsche Bank a lot ... Their internal models could have to be thrown out the window," said Espirito Santo analyst Andrew Lim, who has a "sell" recommendation on Deutsche Bank shares.